Shopping for Deadpool Vinyl Figures? Deadpool's Chimichanga Truck! Comes with a 3-inch tall Deadpool Dorbz Vinyl Figure! Chef Deadpool is ready to serve his famous chimichangas with plenty of attitude and a smile. 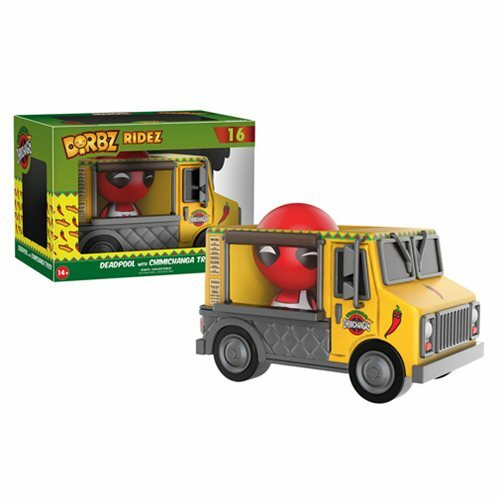 If chimichangas make your Spidey-sense tingle, this Deadpool Chimichanga Truck Dorbz Ridez with Deadpool Vinyl Figure is totally for you. Ages 14 and up.